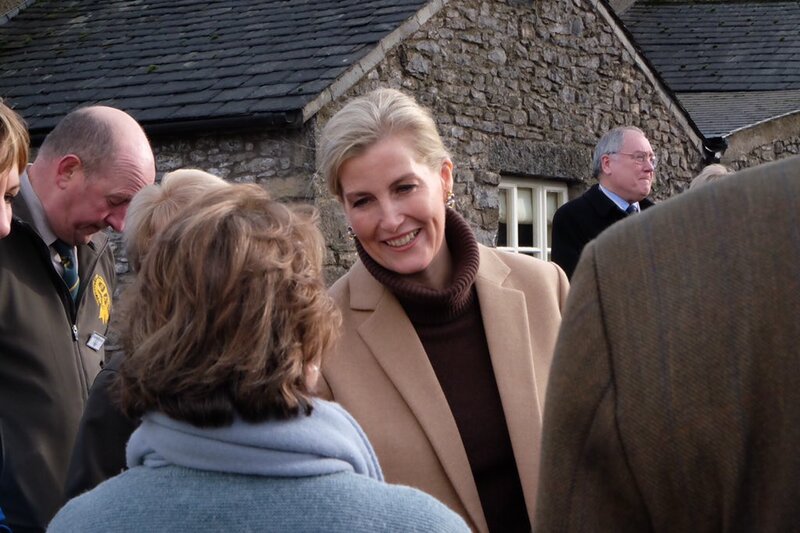 The Countess of Wessex has undertaken engagements in Cumbria today. 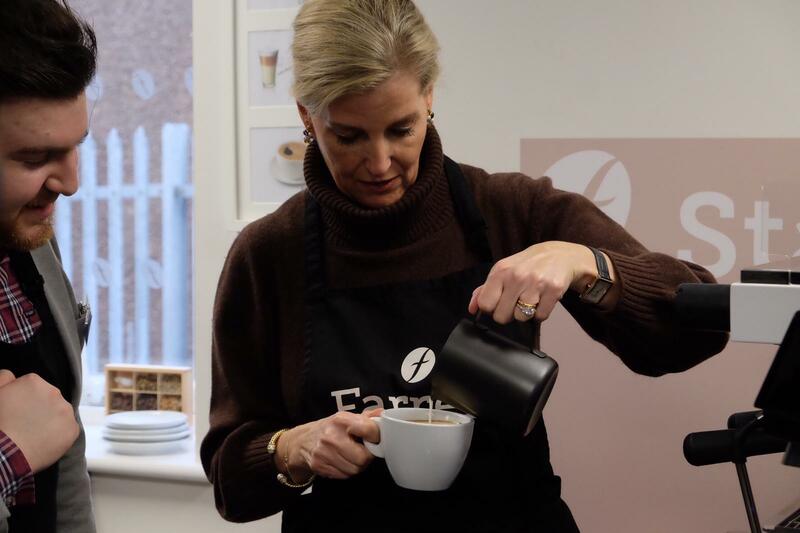 This morning The Countess visited John Farrer and Co Ltd, an independent coffee and tea merchants based in Kendal, to mark their 200th anniversary and open their new training facilities, The Wessex Suite. The Countess met staff including master coffee roaster Steve Cane, before assisting with the packing and production of a special 200th anniversary coffee roast. In the training suite, The Countess learnt more about the courses on offer from baristas Ash and Brian, who then invited The Countess to practice her own coffee-making technique. Her Royal Highness then visited Bendrigg Trust, an activity centre specialising in adventure courses for disabled and disadvantaged people. The Countess met with some local children benefitting from the courses and found out more about the Trust’s work in the local area. Finally, Her Royal Highness attended the judging of the Westmorland Agricultural Society’s Annual Silage Competition, in her role as President of the Society. Silage is grass or other green fodder that is stored and then used as animal feed. It is a vital resource for farms during the winter. 100 different exhibitors entered the competition, the largest of its kind in the UK, during which the silage is judged on nutrient content. The winners will be announced by the Westmorland Agricultural Society later on today. During the visit Her Royal Highness also met with local schoolchildren taking part in a workshop on how nutrients play an important role in food production. 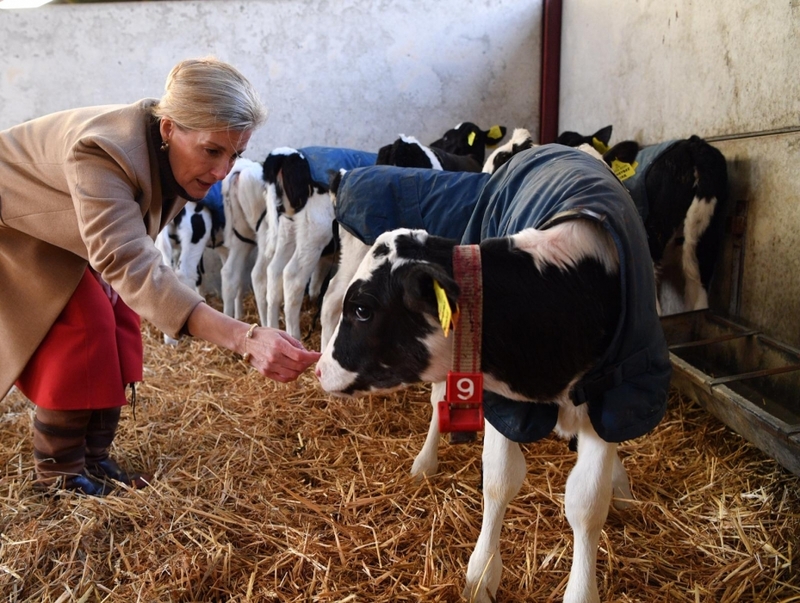 The Countess is a keen supporter of agriculture and is also Patron of the Association of Show and Agricultural Organisations, the official body that oversees all Agricultural Shows in the UK.